Apple has released iTunes 12.7, the new software is now available to download for your Mac. There are quite a few changes in this new iTunes release, the most notable one is the removal of the app store from iTunes. The iTunes 12.7 update is around 209 MB in size and Apple has said that the update focuses on music, movies, TV shows, podcasts and more. As well as removing the app store from iTunes Apple has also removed the ringtones section, you can see the release notes below. 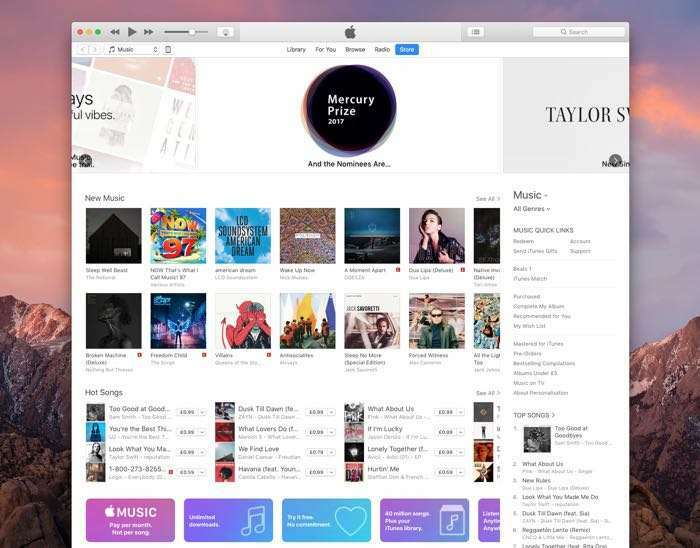 You can find out more details about the new iTunes for Mac over at Apple’s website, the software is now available to download.